I’ve always liked mushrooms (especially stuffed mushrooms!) but recently I’m obsessed. So I pinned it! Directions: Pre-heat the oven to 400F. Zest the lemon, reserving the juice for later. Combine the zest, thyme and enough olive oil to make the mixture pourable in a bowl. 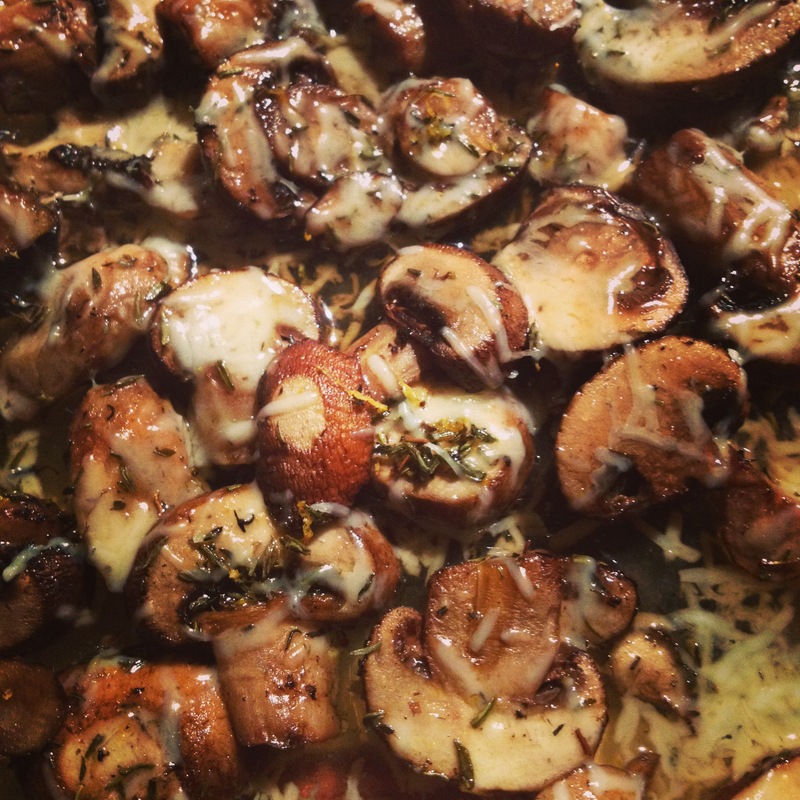 Clean and slice the mushrooms and place them in a single layer on a baking sheet. Drizzle with half the olive oil mixture and season with salt and pepper. Bake for 10 minutes. Sprinkle the parmesan over the mushrooms and return to the oven for another 5 minutes, or until the cheese is lovely and golden. Drizzle the remaining olive oil mixture and some lemon juice (to taste) over the mushrooms. Serve on a thick slice of crusty, toasted bread rubbed with a clove of raw garlic, or over a bed of creamy polenta (I ate as a side with baked tilapia).